On 27th October 2016, National Mentoring Day will take place across the UK and this year Mosaic is acting as a partner for this celebration of mentoring in all its forms. The day will culminate in a special reception at the House of Lords at which Mosaic’s Managing Director Jonathan Freeman will be one of the keynote speakers. First established in 2015, the day will highlight the invaluable contribution mentoring makes to education, enterprise and the economy as well as the profoundly positive effects that it has on society as a whole. 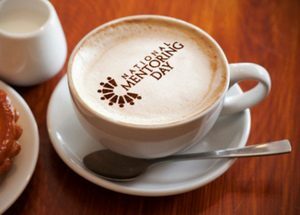 The success of mentoring is often dependent on volunteers and so another aim of National Mentoring Day is to encourage people to donate some of their time to a local mentoring project. Many such projects are run by Mosaic, including the Enterprise Challenge competition that is currently recruiting mentors for its 2017 edition. If you’d like to volunteer as a mentor for Mosaic’s Enterprise Challenge or any other of its mentoring programmes, then please do get in touch.